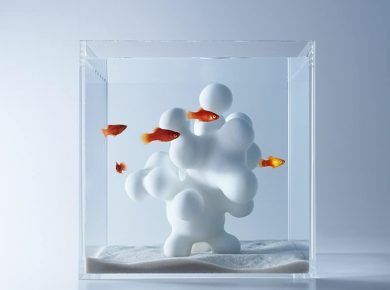 The fish in this post are the most expensive fish for aquarium. 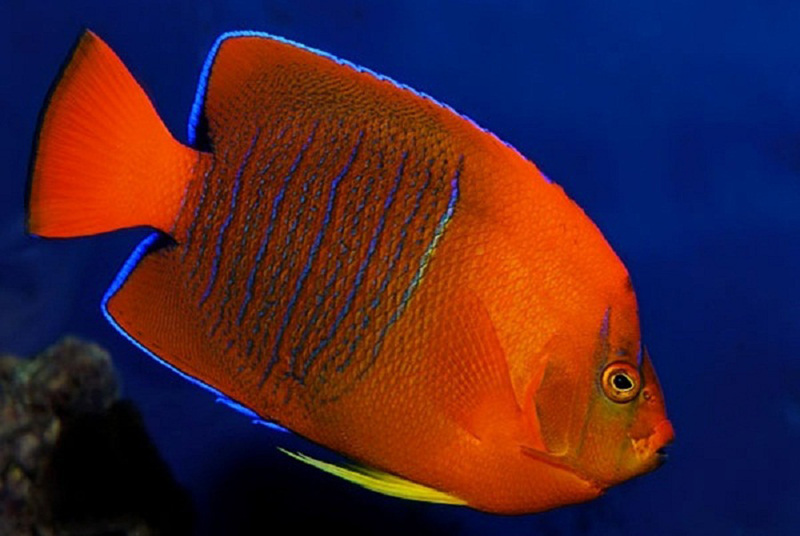 Look at these incredibly beautiful and rare fish: Bright – red-white Peppermint Angelfish which costs $ 30,000, truly royal Freshwater Polka Dot Stingray for $ 100,000 and of course dazzling white Platinum Arowana with a record price for fish of $ 400,000. 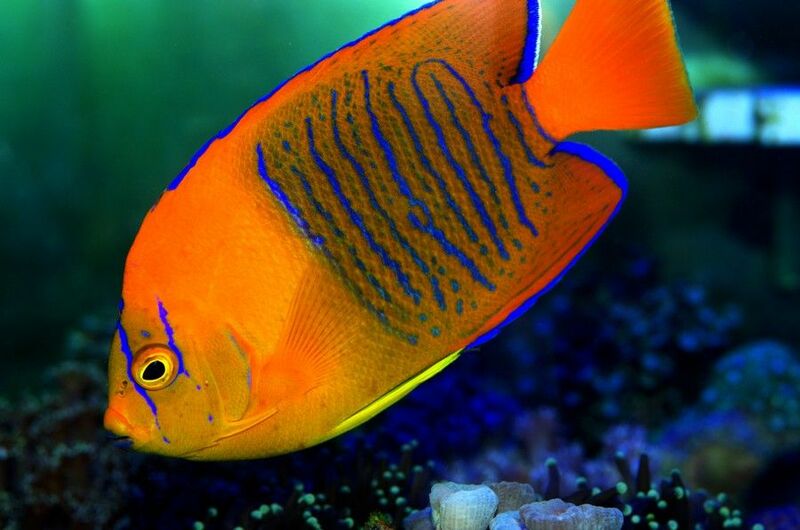 Having these fish is not so simple task, not only because of the expensive cost, but because of their incredible rarity. 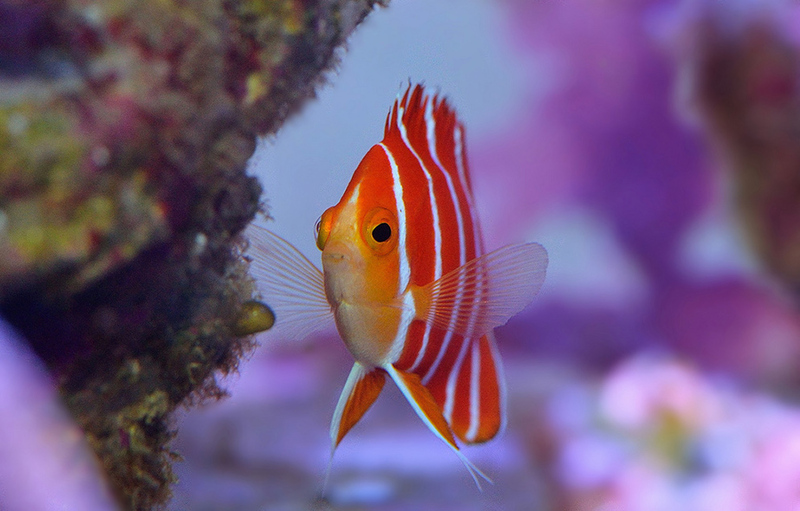 Therefore, not many lucky ones can boast of the presence of these fish in their aquarium. See all the fish in our post. 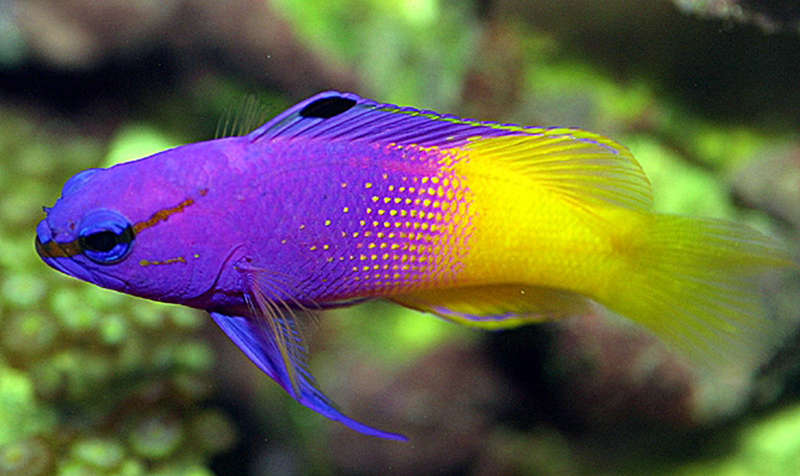 We’ve rounded up a collection of the top ten most expensive fish from the aquarium hobby, from all over the world. If you think a few thousand dollars sounds like a lot of money to pay for fish, how about $400,000 for the exquisite Platinum Arowana? Some of these fish are so rare, that even if you have the money and the knowledge of how to look after them – you still wouldn’t be able to buy one because they’re just not available. Whilst many of these fish are not available for most people to simply just buy or pick up from a store, their beauty and patterns are incredible to look at, and make us wonder about the many other unknown creatures that are still yet to be discovered in the depths of the ocean. The two things that increase the price tag on fish, are how readily (or not readily) available they are, and their colorings and beauty. If a fish lives deep in the ocean, the less likely it is that divers and collectors are able to find them and safely bring them up to the surface. 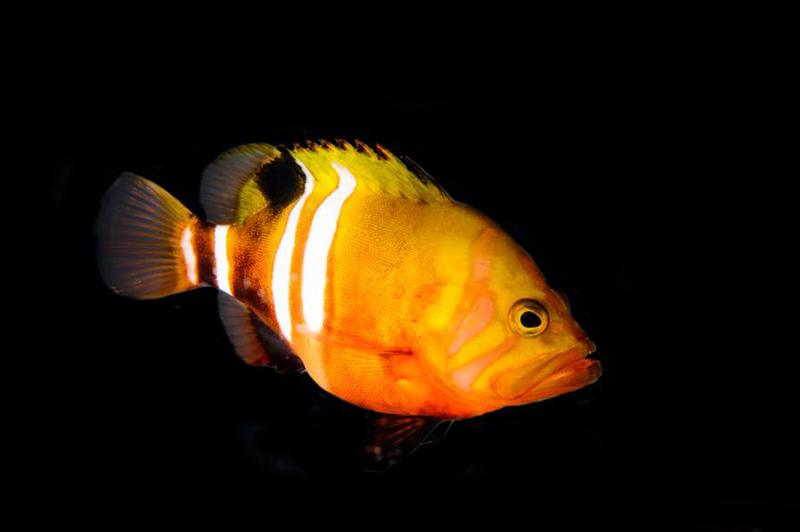 Therefore usually only a few of these rare fish are found each year, making them desirable to people who want a unique and rare collection. Here are 10 of the most expensive fish in the world. Enjoy their beauty! 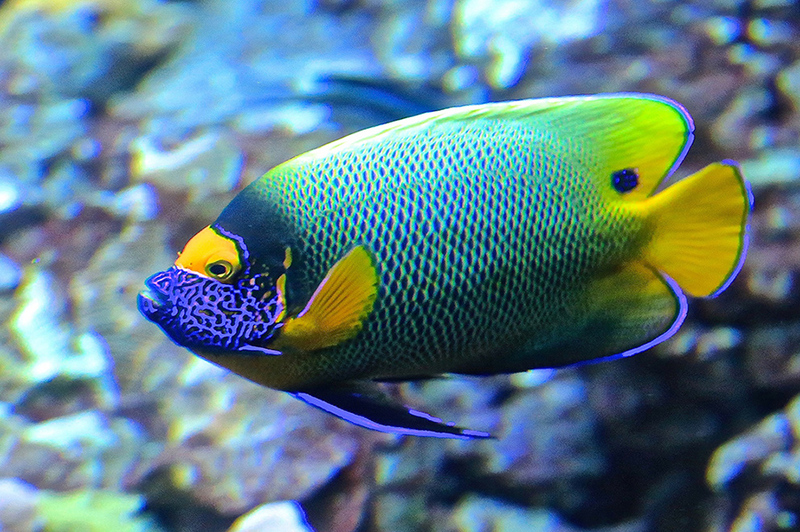 The Clarion Angelfish is one of the most well-known saltwater fishes available in the fish keeping world. 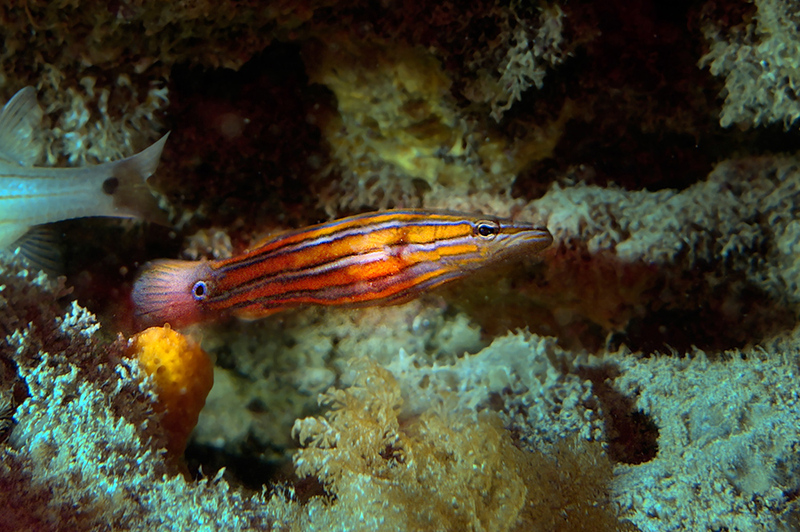 They are native to the Eastern Central Pacific and reaches lengths of 10 inches. They have yellow colored bodies, with vivid blue stripes which run down their body, and their face. Their fins are also tipped in the same luminous vivid blue. 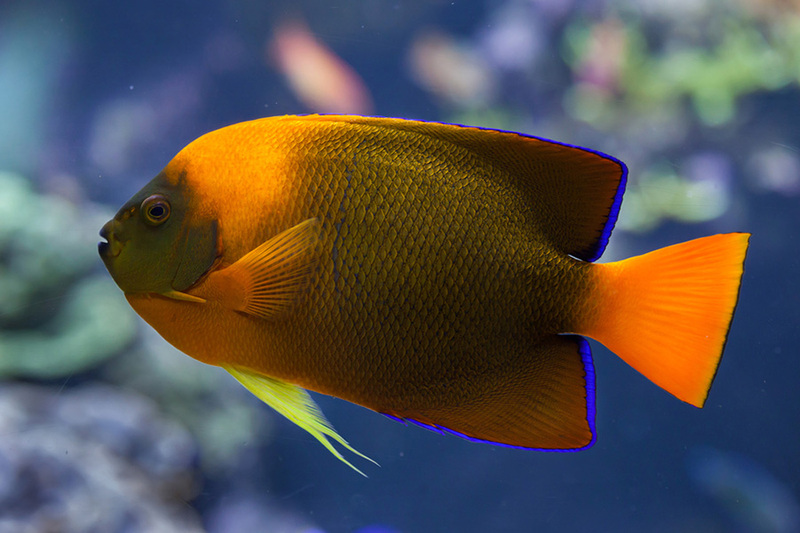 Unlike most of the fish listed on this roundup, these fish are typically captive bred in Bali and can range in price from $2,500, to $7,000 depending on how readily available they are at the time they’re purchased. 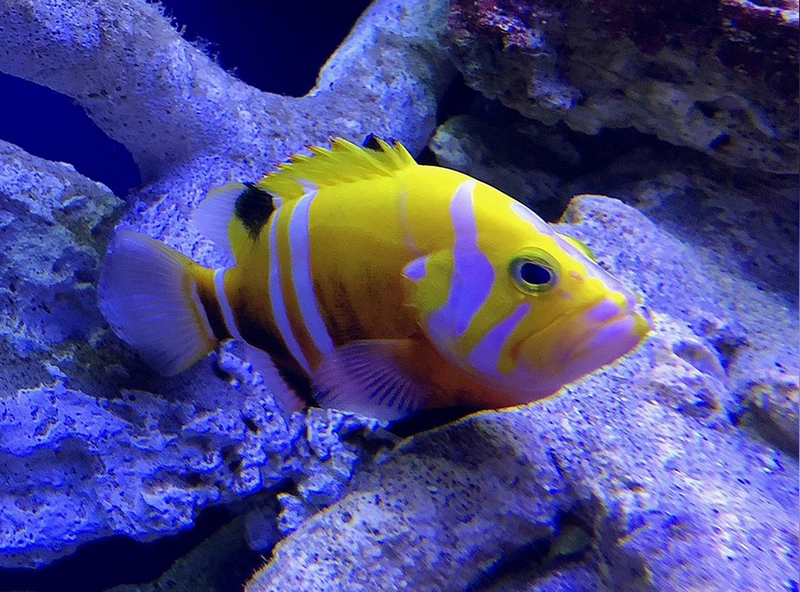 Known for their attractive patterns and colors, Butterflyfish are extraordinarily beautiful and a sought after family within the aquarium hobby. 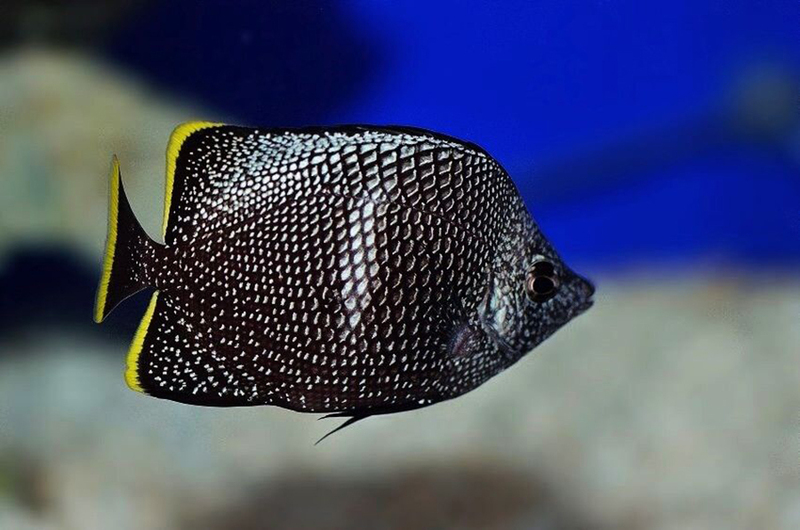 The Wrought Iron Butterflyfish is no exception, with a metallic look and highlighted yellow tipped fins, these fish have a strong schooling behavior and tend to stick together in groups of at least ten. They’re found around the western Pacific ocean, close to Japan. They can find it quite difficult to adjust to captive life, and take a while to adjust to accepting food in the aquarium. In the wild they are plankton-eating fish, grazing on algae and invertebrates so this can be difficult to replicate in a tank setting. The Australian Flathead Perch, Rainfordia opercularis, is one of the rarest and least known Basslet. Not much is known about this species and it is believed that only one or two species have been brought to the US. 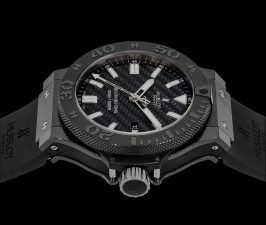 One of which was obtained by the Steinhart Aquarium. 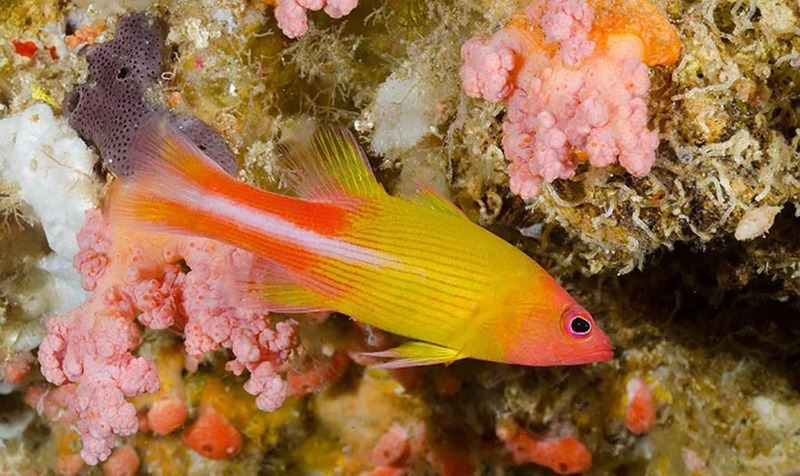 These fish are reported to grow up to 6 inches in length, and as juveniles they are much brighter and orange than they are when they’re adults. They also have blue stripes with a black edging. They have a flathead (just like the name) and a wide mouth and this unique look is what makes them so deserving of their very own genus; Rainfordia. This is a true but rare collector’s species. The Neptune Grouper is a beautiful and highly prized aquarium fish which is practically never encountered in the aquarium, so when it is available you can expect it to come with a hefty price tag. 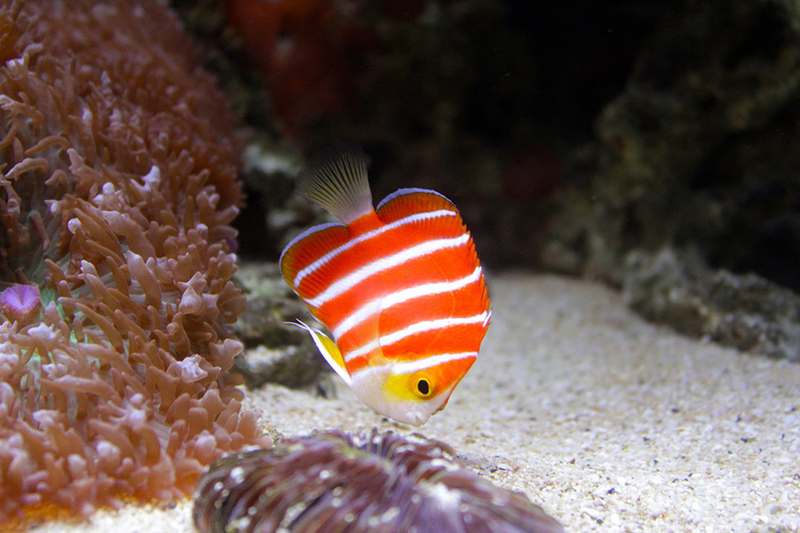 Sporting a hot pink/orange body, with yellow stripes, this fish is truly unique in appearance. 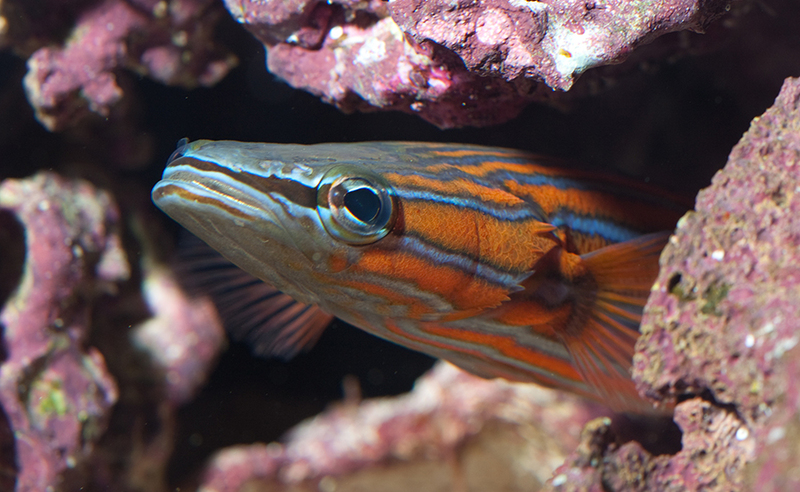 This fish is typically more expensive as a juvenile, because they find it much easier to adapt to tank life than older specimens. These fish live at depths of between 260 and 800 feet, so when they are collected they need to go through a special decompression and transportation process to allow them to adjust to the upper levels of the ocean. Interestingly, these fish are more commonly found on food markets. For what this fish lacks in size, it makes up for in price! 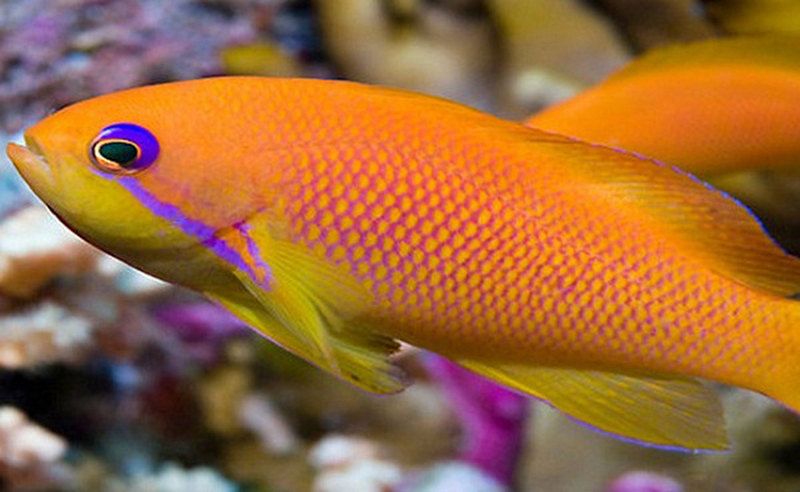 With its beautiful golden coloring, this fish comes with a price tag of $8,000. No list could possibly be complete without this fish on it. This is one of the toughest fish for divers to collect, due to them being so small and living so deep in the sea. 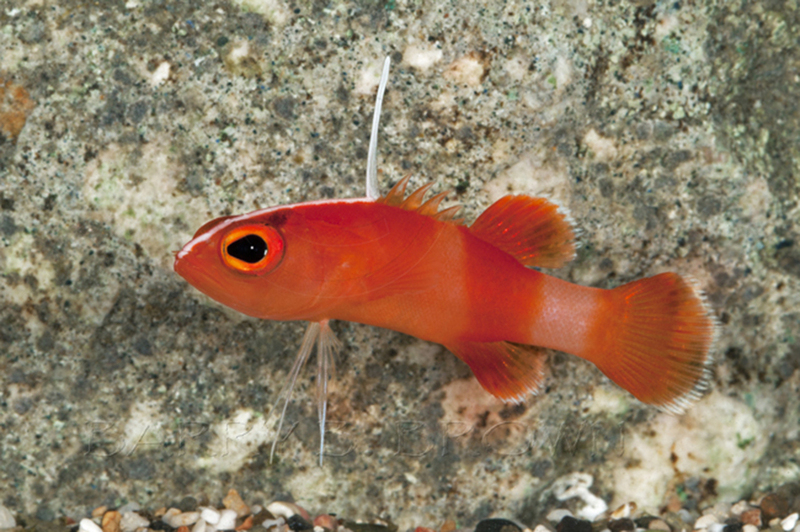 This species is one of the smallest of the Basslet family, and although they adapt well to captive life, collecting them is tricky because they require specific decompression techniques to be used, which allow divers to bring them safely to the surface. 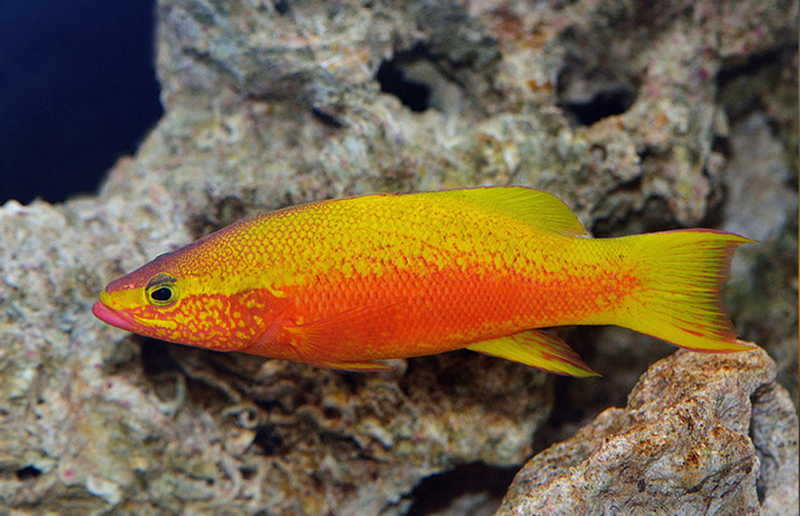 Whilst it might look uniform in color, on closer inspection, this vibrant fish is a combination of a yolk yellow color, which bleeds into a rich tangerine color towards the middle. A honeycomb patterning is created where the two colors mix. This is the cousin of the above species. Some would argue that the Bladefin Basslet is even more beautiful than the Golden Basslet. 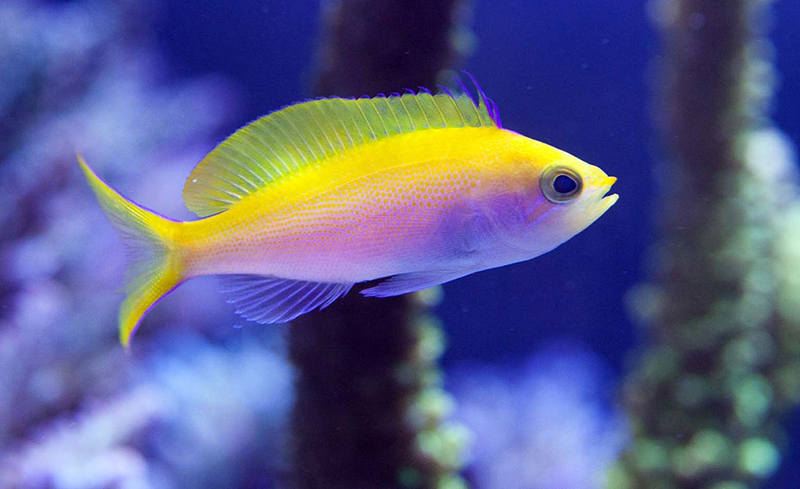 This fish gets its name from the blade-like dorsal fin which is a bold white color. As the smallest fish that features on this list, this arguably have the most expensive price, per inch of fish. The Bladefin Basslet has a vibrant coloring, with a brilliant white body which has red markings. It lives in the ocean at depths of over 500 feet, which, like most of the fish listed here, means it’s incredibly tricky to collect and transfer to aquariums. It’s no surprise to hear then, that when this species is available it can sell for up to $10,000. 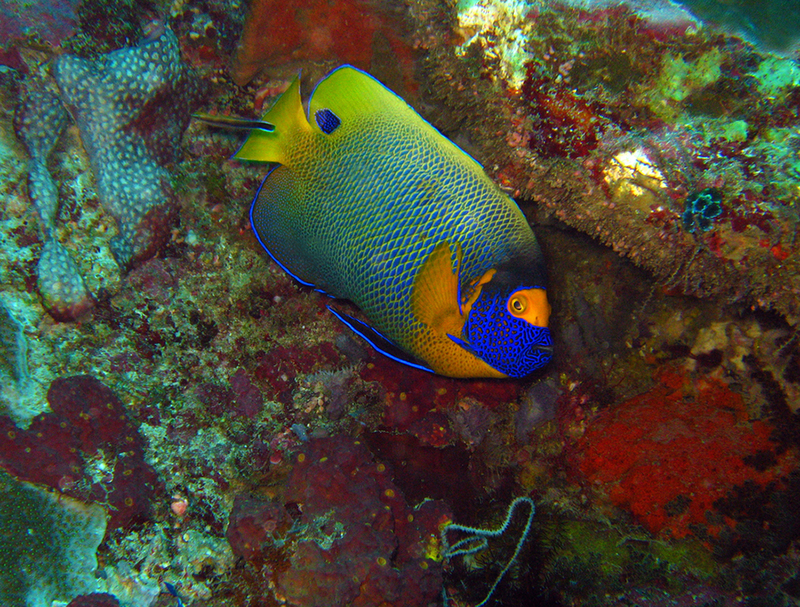 The Masked Angelfish, known scientifically as Genicanthuspersonatusis an idolized reef fish which is extremely beautiful, but also extremely expensive. 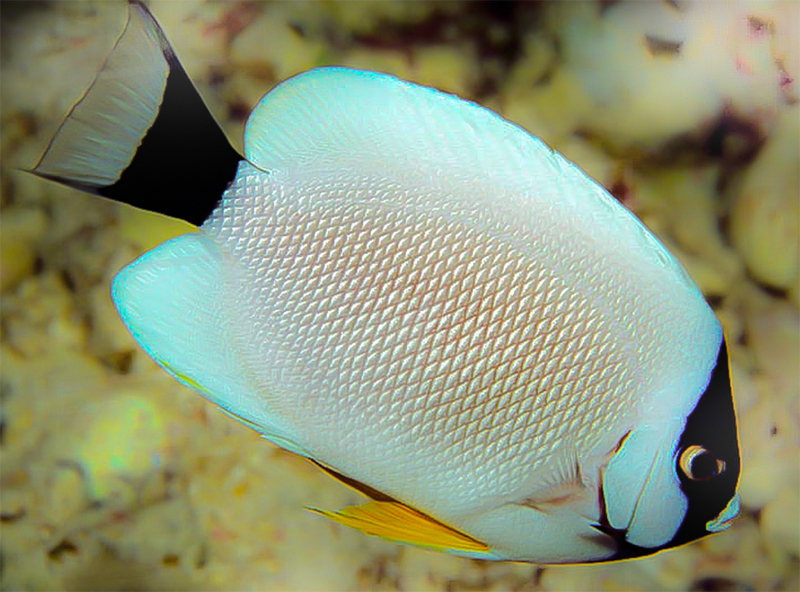 This fish has a brilliant marble white body, with a black mask. While they don’t have any crazy or colorful marking like make other popular species, perhaps this is one of the reasons they are so sought after, because of their simple yet elegant beauty. Their appearance changes slightly throughout the different stages of their growth, starting off with only a small black patch over its face, and ending with a mostly black tail, and larger face mask with blueish-white lips. They are native to the Northwestern Hawaiian Islands, and one of the reasons they are so rarely seen, is that they have imposed a strict ban on commercial fishing in this area. 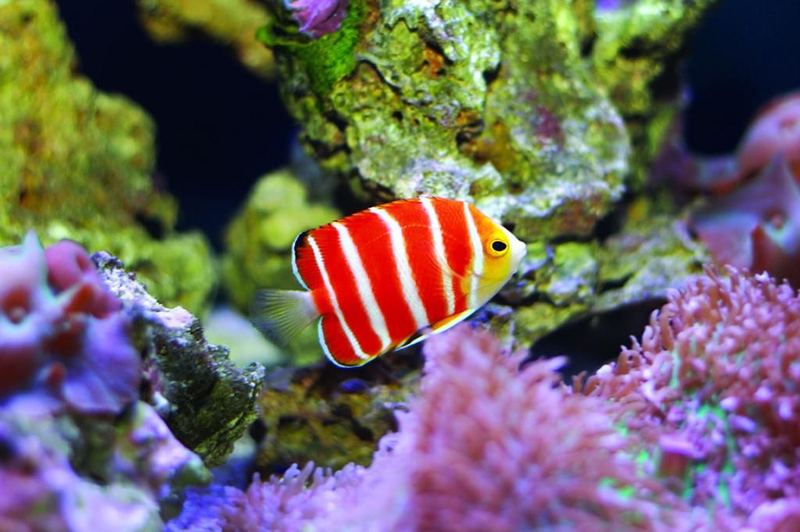 The Peppermint Angelfish takes its name from the peppermint sweet, which is infamous for its red and white swirling coloring. 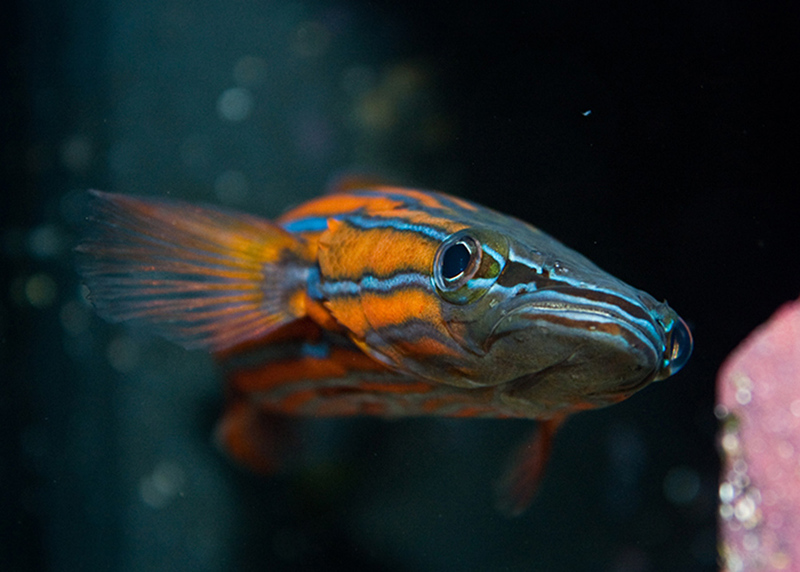 This fish has the same colors in a striped pattern. 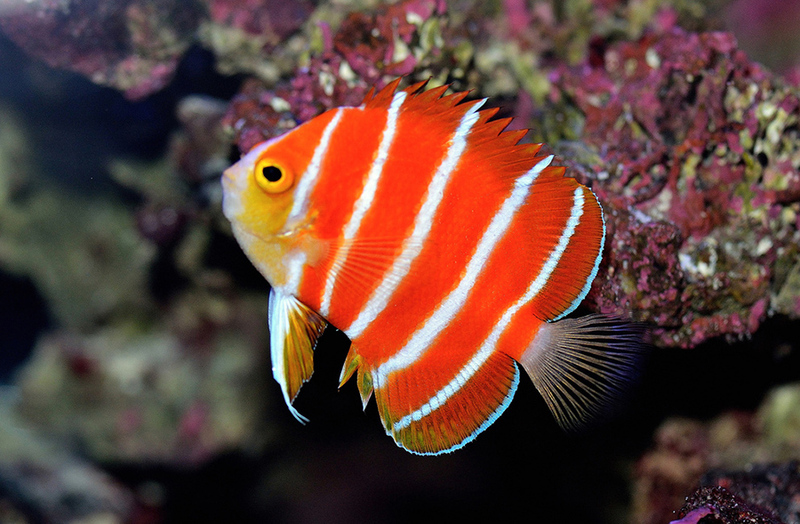 The base of the fish is red/orange, with white vertical stripes. 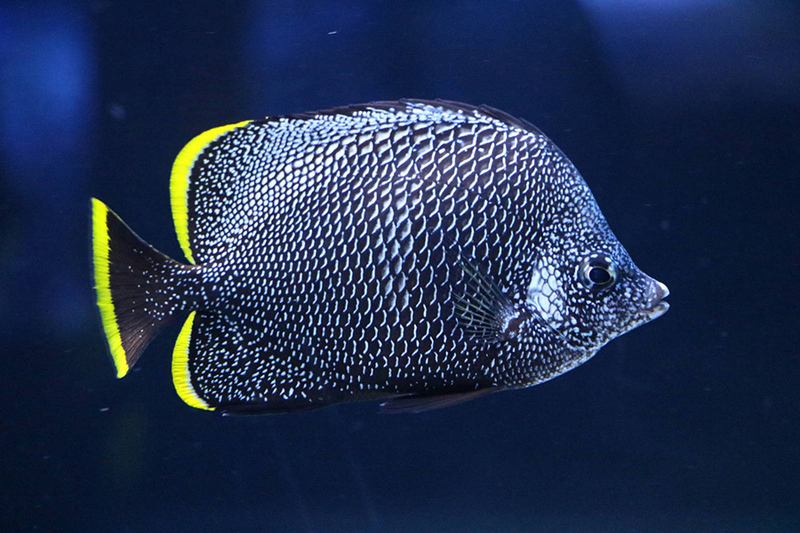 They grow to 3 inches in size and there is currently only one Peppermint Angelfish available for the public to view in the US. Based at The Waikiki Aquarium in Hawaii, many collectors have offered to pay up to $30,000 for this fish however the aquarium would like to keep it so it’s available for many people to see. At the aquarium, it shares a tank with another rare species and the tank is a replica of its natural habitat. 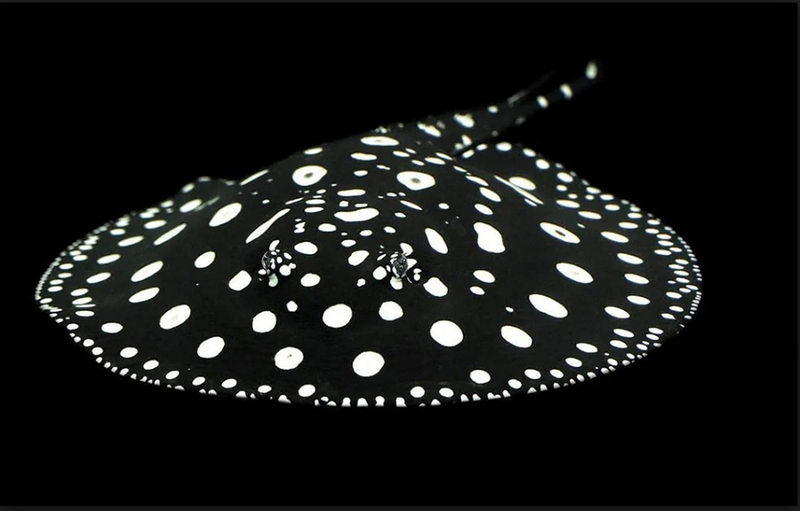 This striking black and white stingray has sold for up to $100,000. They have oval shaped bodies, which are covered in white spots, whilst their underside is gray with no spots. 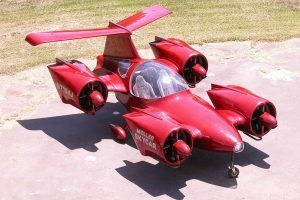 They have protruding eyes which allow them to see what’s above them, and they also have special sensing organs around their mouths and nose which allows them to detect electric fields generated by other animals. Rays are one of the top predatory animals within the water, and therefore should usually be kept alone. These fish come with a whopping price tag, mainly due to the fact that exports from Brazil (their native home) are now illegal. Instead, the industry has to mainly rely on captive bred rays, which considerably ups their price. 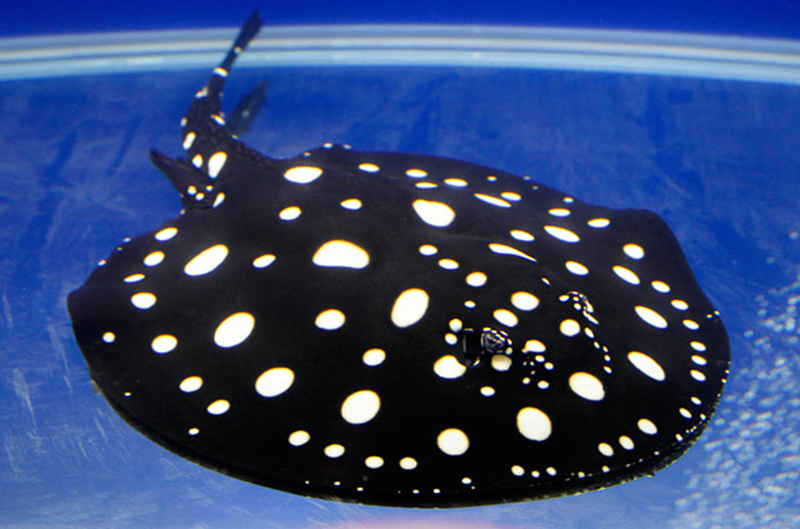 An even more expensive variety of this fish, is a rare variant, where the ray forms rings with black centers, rather than spots. 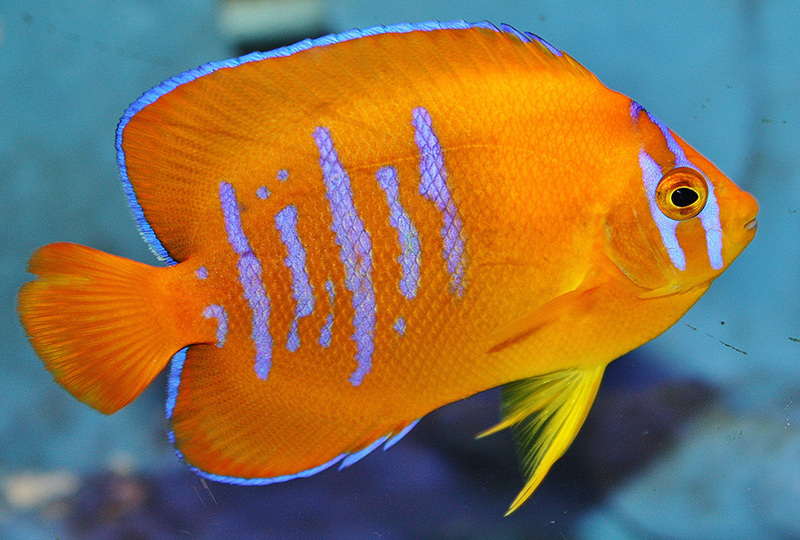 The most expensive sale of this fish, was for a unique genetically mutated variant, which had a u-shaped heard, rather than the normal rounded shape. 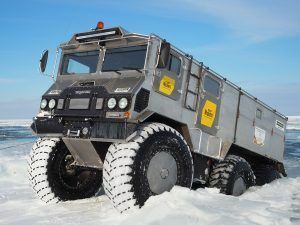 This meant that it would have been unlikely to survive in the wild and needed hand feeding. 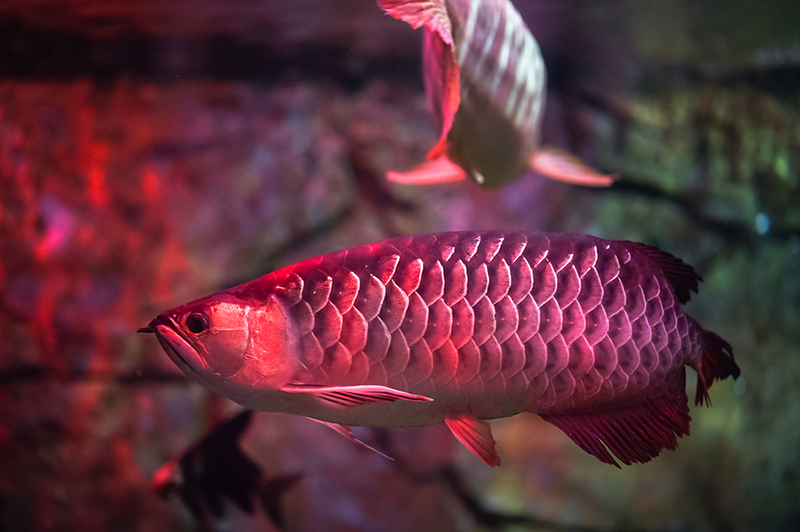 Earning itself the top spot in the most expensive aquarium fish, is the platinum Arowana. All Arowanas come with big price tags in comparison to other fish, but the cost of this platinum variety is off the charts. 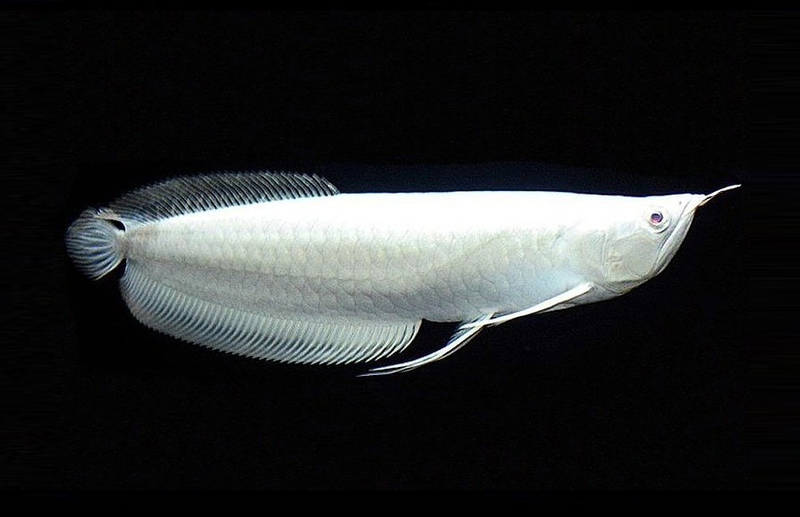 At $400,000, this pristine white fish is the result of a rare genetic mutation. 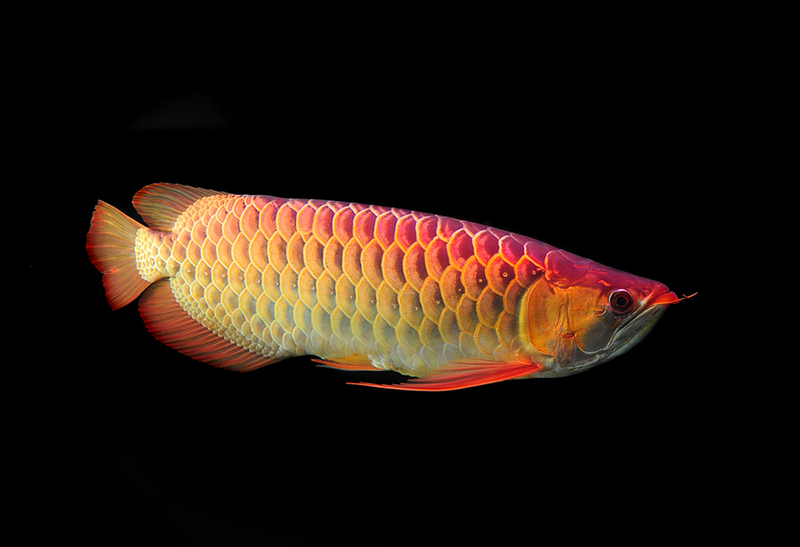 In Asia, people believe that the Arowana boosts health, prosperity and luck whilst neutralizing negative influences. These fish are monsters of the aquarium world, growing almost as large as humans in length. There are a few things that make them so unique, their huge bodies and metallic like scales and their teeth which are pointed upwards. 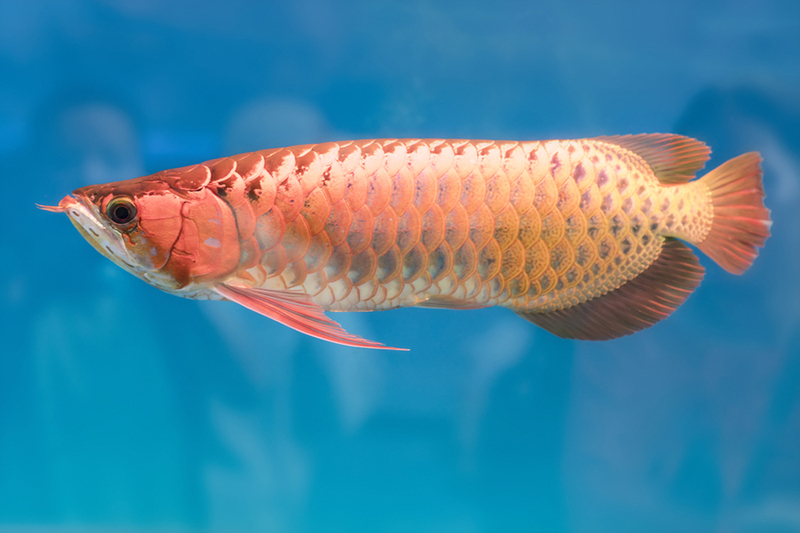 There are plenty of other color variations of the Arowana, the most popular and readily available one being the Silver Arowana. 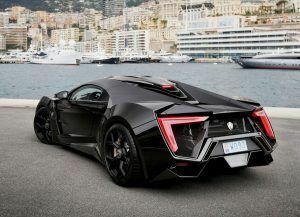 However it is the Platinum variety which has become the most sought after. 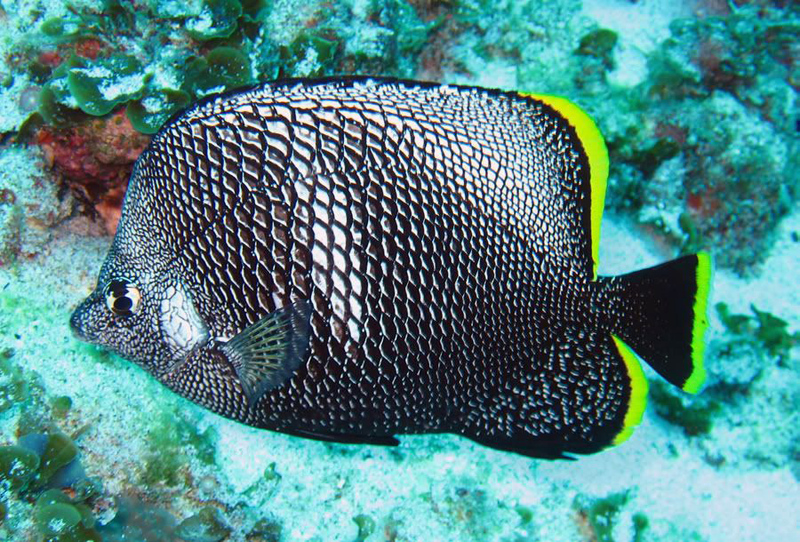 Unsurprisingly, as the largest fish on this list, it has the largest price tag. 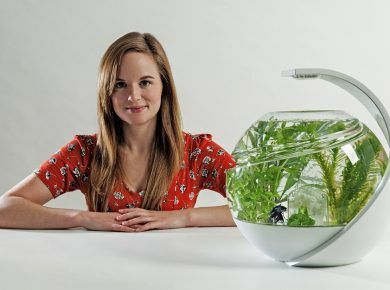 Have any of these beauties encouraged you to get started in the aquarium hobby? If so, be sure not to start off with any of the luxurious species. 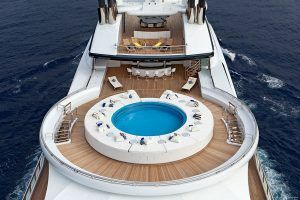 They are require specialist care, which can only be obtained through years of experience in the industry. 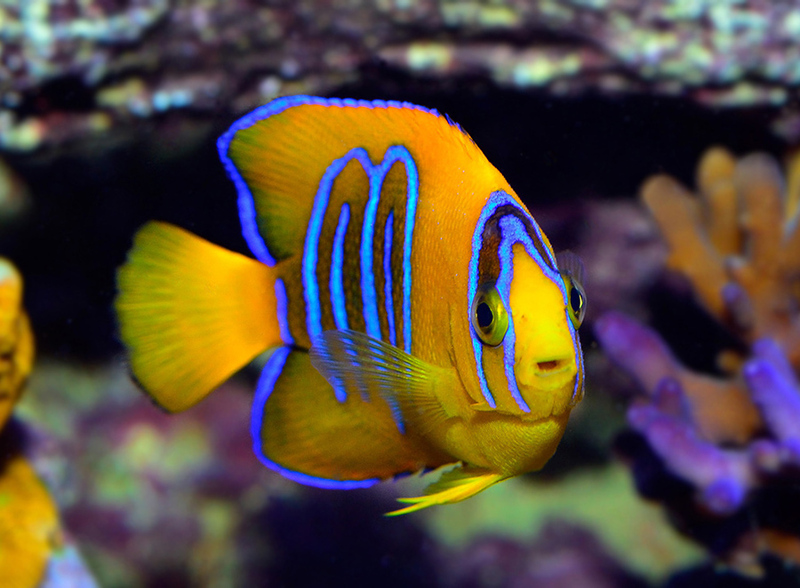 Start off with some hardy beginner fish, and work your way up to these exquisite creatures. Once you start, you’ll be hooked! Robert is a third generation fish keeper and has raised freshwater fish since childhood. He currently has a 150 gallon freshwater tank and has educated over 250,000 people through his blog Fishkeeping World.